Are you considering getting an auto loan? If so, you likely have many questions about where to start, how it works, the different lending options available to you, and how long it may take to get financed. Luckily, LendingArch can answer all of these questions, while helping you secure the loan you want. As Canada’s most-trusted online lending marketplace, we are a one-stop-shop for finding and comparing loans of all kinds. Our team is happy to provide you with the expert advice and tools needed when you’re considering an auto loan for that new vehicle. Instead of spending hours researching loans on different websites, you can find the answers you’re looking for all in one place. Let’s get down to business – we know that getting an auto loan can be stressful and complicated. However, the LendingArch team is here to make the process as easy and quick as possible. While we provide the platform for you to find the loan that suits you best, we also offer expert advice and tips/tricks you need to begin the process. Many questions may come up when you ’re trying to get a loan for a vehicle, so it is important to do diligent research. 1. How Long Does Getting an Auto Loan Take? For other companies, the timing may differ. But with LendingArch, our goal is to make the process go as quickly as possible. Our application process only takes a couple of minutes. Then, once you’ve completed your application – which includes providing us with personal details and information on the type of loan you’d like to secure – a LendingArch auto loan specialist will be in touch with you. Our specialist will go over your application and ask you about your needs. They will connect you directly with a dealership partner or lender that can get you financed and driving away in your new vehicle as soon as possible. Along with using our online platform to apply, customers also have the option of directly calling LendingArch at 1-877-669-0432. When customers choose to directly call our loan specialists, the process is completed even faster, as our specialists will take your information and put you in contact with a dealership right away. When you secure an auto loan, the biggest question you might have is, “What is the interest rate?”.The interest rate is a big deal. If you’re unfamiliar, an interest rate is the percentage amount that a lender charges a borrower in return for giving them a loan. LendingArch does not supply you with a loan and can’t change rates for you — we assist you in finding a loan that is right for you — but we can show you your options and connect you with the dealership who will then work on the financing process with you. The dealership will be able to provide you with the interest rate and financing. From there, you’ll be able to establish what your monthly payment will be. 3. How Much Can I Get Pre-Approved For? 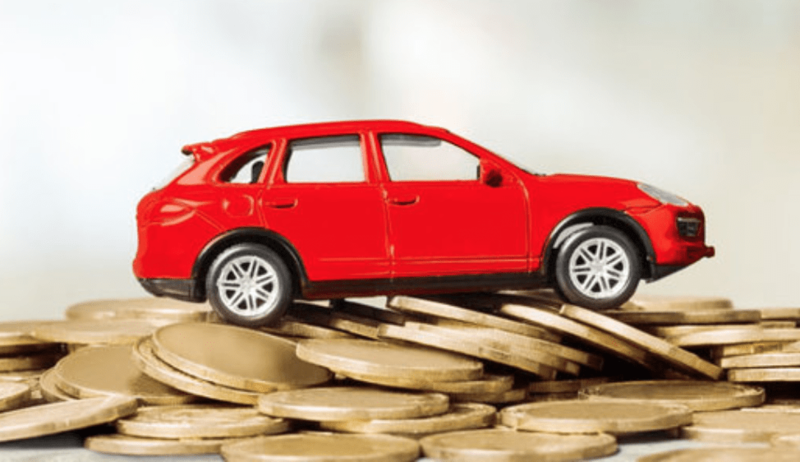 When looking to secure an auto loan, this is one of the most commonly asked questions. But this question is solely based on your personal financial circumstances. However, we are able to help people with a range of credit scores. Regardless of your circumstances, we prioritize getting you the loan that meets your needs and that gets you in a vehicle at an affordable price. 4. What Happens After I Complete the Auto Loan Process with LendingArch? After your initial process with LendingArch, what happens next? Since you’ve already provided us with your information, the dealership will contact you directly, and will already have most of the information required to get your loan finalized and get you driving. This is the time when you’re financing options will be established with the dealer. 5. What Kind of Vehicle Can I Get? When you apply for an auto loan through LendingArch, we give you access to a network of hundreds of dealers, nationwide. Within this network, hundreds of options in inventories are available. Depending on your own financial circumstances, you’ll be able to choose a vehicle that both fits within your budget and is sensible. 6. Are Trade-Ins Possible with an Auto Loan? Now you may be wondering if trade-ins are possible when securing an auto loan through LendingArch. Our network of dealerships can work with your existing vehicle, whether you owe money on it or not. 7. Will My Credit be Affected? Applying for any type of loan requires that your credit score be evaluated. When you provide LendingArch with your personal and financial information — in order to see which loans you may qualify for — a “soft search” will be done on your credit. Unlike the hard searches that other companies may run, this does not harm your credit score. 8. Where is LendingArch Located? LendingArch is a Canadian company, serving those throughout the country in finding the best loans possible. We can help Canadians near and far secure an auto loan and dealership that will suit their needs. Are you ready to have the easiest, quickest auto loan experience of your life? LendingArch is here to assist you every step of the way. If you have further questions about the process, you can always contact one of our loan specialists. With LendingArch by your side, get into the vehicle you want, sooner. Get started by finding the auto loan that fits your needs today!